Olive leaf extract Olea europaea contains a substance called oleuropein which comes from the leaves of the olive plant that appears to be highly effective at killing harmful bacteria and fungi in the body, and at the same time promoting glucose metabolism and improving overall health. 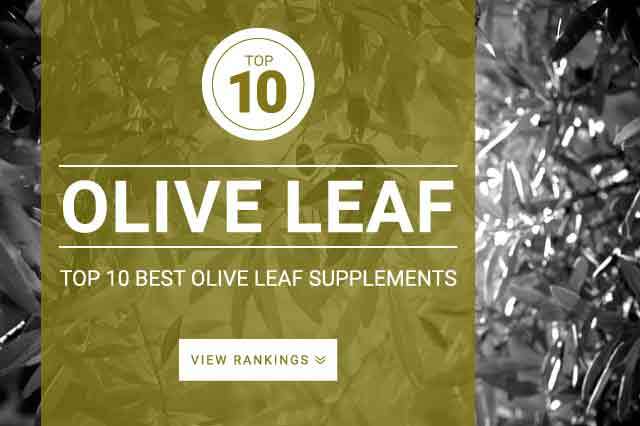 Onlinestrength analyzed 10 best-selling Olive Leaf supplements in the United States, following a strict review methodology that cross-checked every single ingredients to ensure that the highest ranking product (s) passed all department of health, FDA, and other scientific journal guidelines. Products were inspected for two things: artificial preservatives and coloring agents. Products received reduced ingredient quality rankings for presence of key watchlist ingredients including preservatives and coloring agents. The highest ranking product(s) passed all ingredient quality standards, had ingredients sourced from organic farms, and used plant-based capsules with zero preservatives or binder ingredients. Olive Leaf extract is sourced from the olive plant and contains a substance called oleuropin. When olive leaf is supplemented oleuropin breaks down in the body and turns into enolinate which is touted to improve skin, hair, and overall health and at the same time killing harmful bacteria, fungi, and viruses in the body. Olive leaf is supplemented today for its high nutrient dense properties which can help individuals maintain good health during periods of time where nutrient dense foods are limited. Olive supplements may help individuals maintain optimal health during times of heavy stress or travel. Olive leaf is supplemented mainly for its touted ability to improve skin and hair health. However, no meaningful scientific evidence is available to support these claims. Standard olive leaf dosage: 500 mg – 1000 mg according to the limited research studies available. Because olive leaf and olive leaf extract supplements vary widely, we recommend to follow the products label instructions for best results.